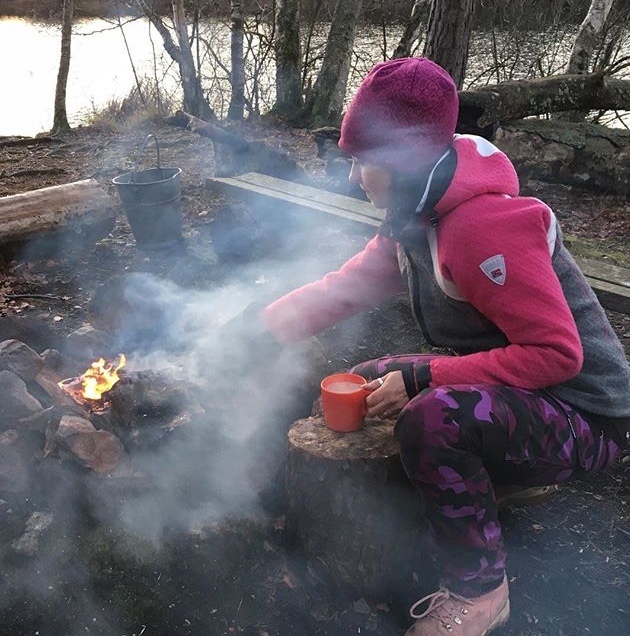 Too smokey: A smokey campfire is one of the more common campfire problems, and as you can tell from the photo, it can take even the most prepared bush crafter by surprise – the cause, wet wood (I was convinced mine was dry here…obviously not!!) Wet wood will be hard to light, and will produce a lot of smoke. I’m not talking about wood that has previously dried out and has now been exposed to a little rain…yes, that will smoke a bit, but on the inside it will still be dry. Some types of wood also cause smoking. Generally if you stick with harder woods you should be fine. Light with smaller softer wood initially to get it going (they light easier), then swap to harder woods as they burn hotter and for longer. 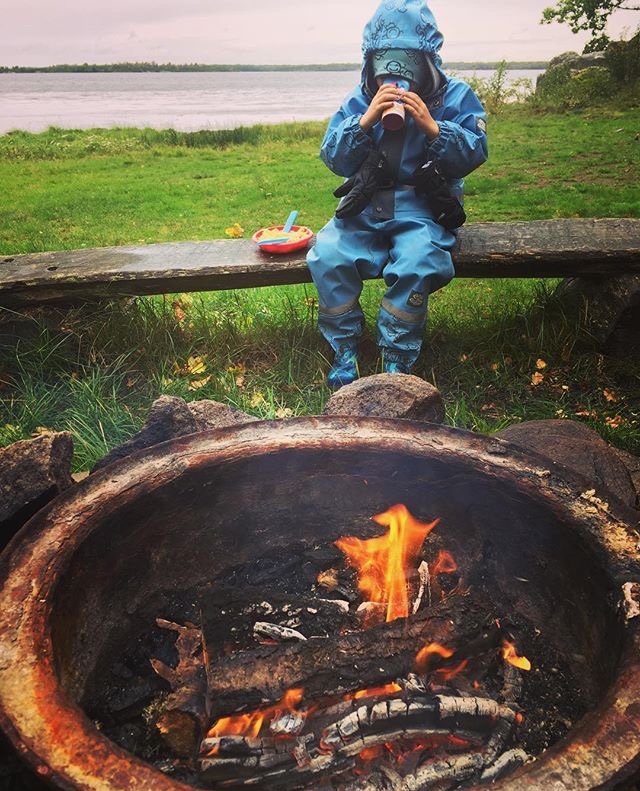 Lighting the campfire in the rain: Look for naturally protected areas to light your fire. For example under tree canopies, or cliff overhangs. But don’t, whatever you do, light it in the protection of your tent! Start with very small and very dry kindling and tinder (refer to my building a campfire blog post). I usually carry some of this just to ensure we have a successful lighting, but if you need more, look for it under things where it has been protected from the elements. Also, if you have a knife or axe you can split the wood, as the inside may be dry and then it will light better with that exposed rather than the damp exterior. You could even shave some off with the knife as extra kindling, or feather a stick for even better chances of lighting the fire. Reigniting embers when the flames die down: If your campfire dies down and you still need flames (if like me you got distracted with children and forgot to add new fuel to the fire), then you can direct a gentle blow into the base of the hot embers, and after a few attempts you should see the flames spring back into life (just make sure you aren’t blowing hot embers all over the countryside as you’ll start a fire! You need to make sure they stay in your fire pit). 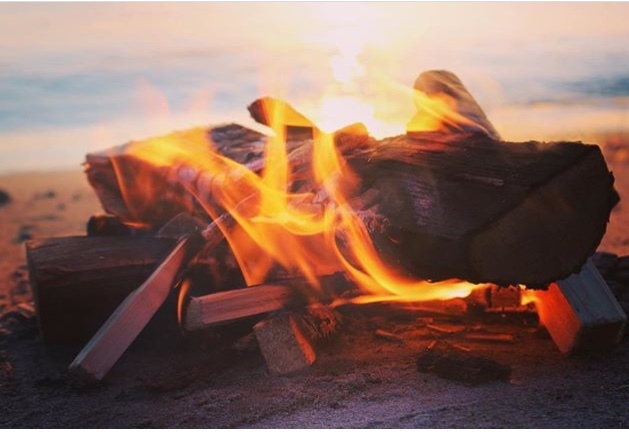 Keep the fire burning: Before your flames die down, add another log to them, but make sure air can still get into the fire to fan the flames, don’t suffocate it. Wood burning too fast: This usually means that it is too windy and your campfire needs some protection from the wind. For example, above we have built a wall from rocks, preventing the wind from burning through our wood fuel so fast. You could also dig a hole into the ground if the area/ground is suitable. If you do use rocks, don’t forget to cool them down afterwards, and also replace them to where you found them. Food is not cooking or warming up: This usually means, for some reason, the heat is not reaching your food. For example, a very windy day will make your fuel burn rapidly and have huge flames, but the heat will be blown away before it has much impact on your cooking. On those kind of days, the food needs to sit right on top of the heat source. If you have foil wrapped food that isn’t so hard, but if in a billy can or balanced on a grill you need to get a little more inventive. 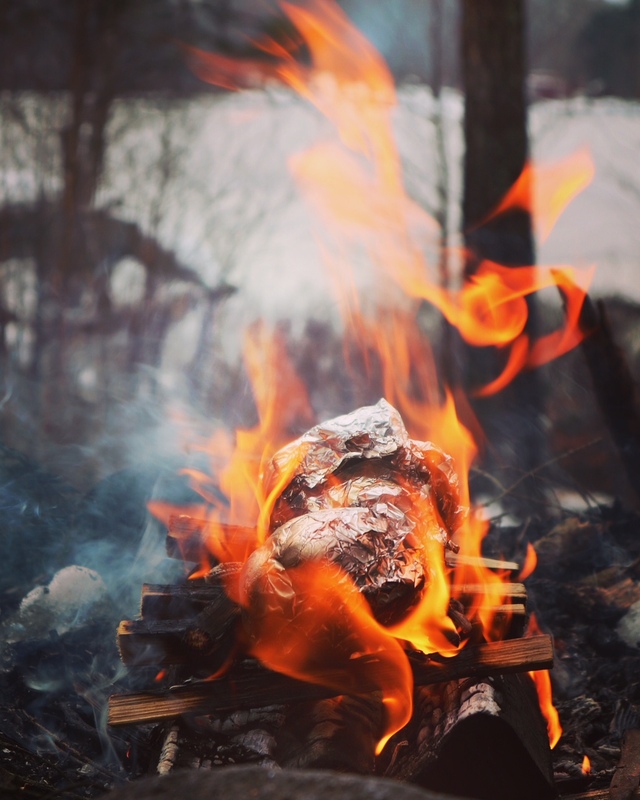 Usually things can be solved with some well positioned wood to balance a pot, or some foil to wrap things up in so they can go straight onto the fire….just remember to check them more often as they will now cook fast! 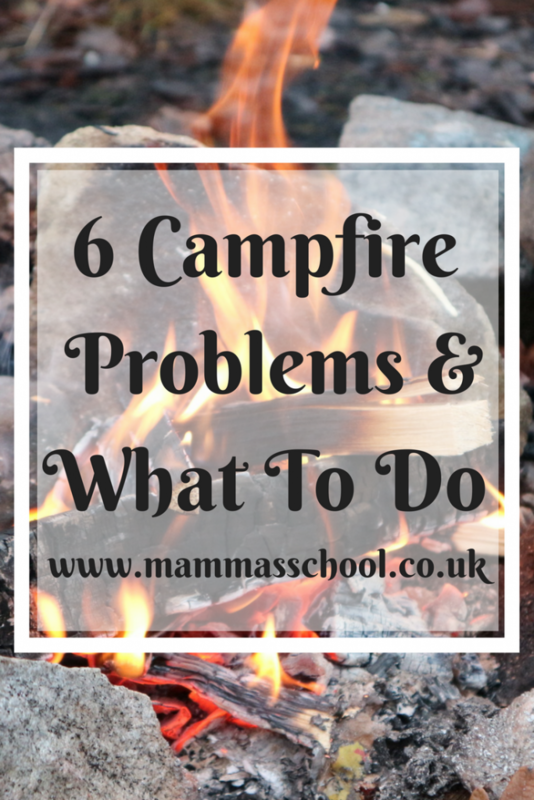 I hope these hints about campfire problems will give you a helping hand in having a successful campfire or two. They are such fun to do and we love making one on our outdoor adventures. 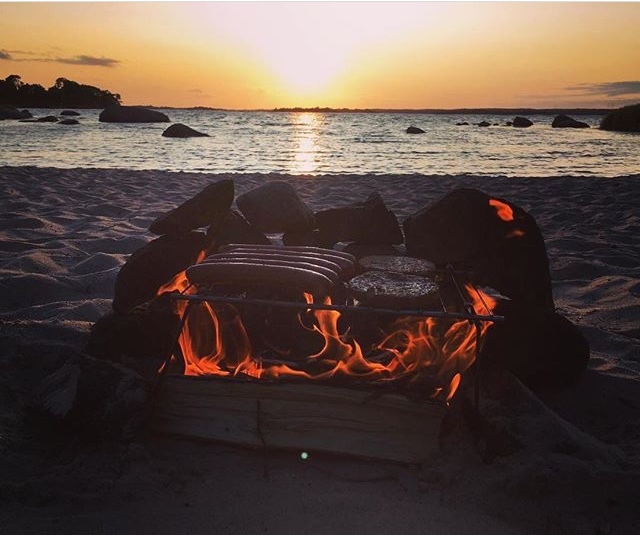 Be sure to read my post on campfire basics and tips as well, which covers how to build one and safety amongst other things, and go and enjoy your campfire! !